If you are looking for a Boat Club in Teignmouth then you are at the right place. 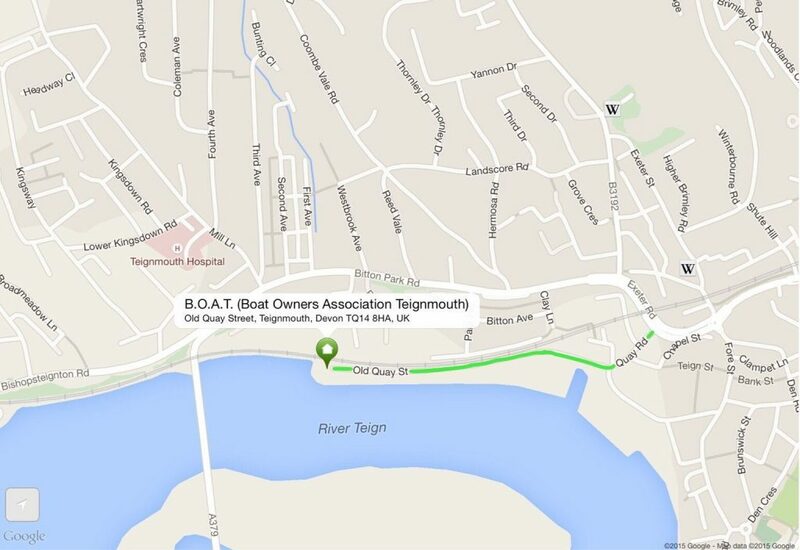 Boat Owners Association Teignmouth (B.O.A.T.) was formed in 1989, with the sole purpose of members watching over each others’ boats and forming a community of like-minded boaters. The aim of the club today is no different. With a 100+ membership, B.O.A.T. continues to be a valuable resource for local residents, as well as those living further afield. Yachtsmen, motor boaters, boat anglers or whatever your interest in boating – all are welcome. You don’t even need to own a boat to be a member of the best Boat Club in Teignmouth! Finding us is straightforward however, don’t be alarmed if you suddenly arrive at a weighbridge (10mph speed limit) situated at the docks. Just drive through and carry on as far as you can. You will then have reached the B.O.A.T. Clubhouse. Getting in touch is easy – either pop in to see us down at the end of Old Quay Street at Polly Steps (see map above, between 11.30am and 1.00pm if possible) or make contact using the form on our Contact Page or if you need to know how to join, then please visit this page How To Join. What facilities are available to club members? 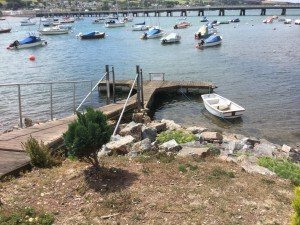 Apart from the public slipway at Polly Steps, we have a number of useful facilities for members. You will have a key to use the clubhouse facilities (kettle, microwave, wood burning stove etc.) as and when you require. Although not the most modern of premises, we do keep it clean and tidy. A pontoon (for the use of club members only) is adjacent to the clubhouse and is perfect for picking up/dropping off passengers. We ask that the pontoon is used for this purpose only, and not for leaving boats unattended. 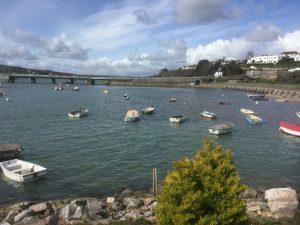 Members also have the use of the club dinghy which can be used for getting to your own dinghy when the water is too deep for wading out. The club dinghy is not to be used for getting to your main boat. A launching trolley (which is fitted with a jockey wheel and rollers) is also freely available for your use. This can save dragging your dinghy a long way (if moored down on the beach) when the tide is low. Also handy for getting your dinghy to the slipway if you don’t have wheels fitted. We also have a very useful outboard motor trolley that saves you having to carry your motor all the way to your dinghy. Especially useful if you have one of the larger 5hp units! 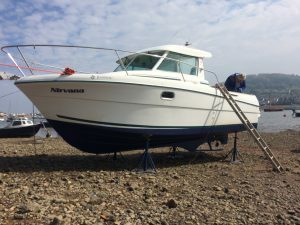 If you don’t have a boat trailer, and are not keen on having your boat craned out of the water then we now have 4 very heavy duty boat stands which will enable you to work on your boat in between tides. Ideal at anti fouling time or if you just need to carry out essential maintenance/repairs. Power and water is also available. A secure lock-up is available for storage of outboards although this facility is not available to new members. For more details, speak to one of the committee members who will advise on getting your name added to the waiting list. Some of our newer members are also new to boating and can find getting help and advice a bit daunting. If you are in this situation then try not to worry too much as there are always members on hand who will help you with any issues you’re concerned about. The best way forward is to regularly attend the general meetings (at Teignmouth Rugby club) and also help out when you can with the general running of the club. We have a hard working committee but always appreciate any help the members can offer. All members are expected to do at least one boat watch during their membership year. This entails manning the club house during an evening of your choice. First time ‘boat watchers’ usually do their watch with another member. This helps to give them all the relevant info needed. If you’d like any further info about our boat watch scheme, or would like to book an evening, then please contact Steve Bentley (Boat Watch Coordinator) using the form below. Steve will be more than happy to walk you through the process. Alternatively, you can call into HQ and add your name to the boat watch calendar. Here’s an interesting film about the Boat Watch – ‘It’s Only Once a Year’. Please note: your contact details and message are strictly private and will not be visible on the site.